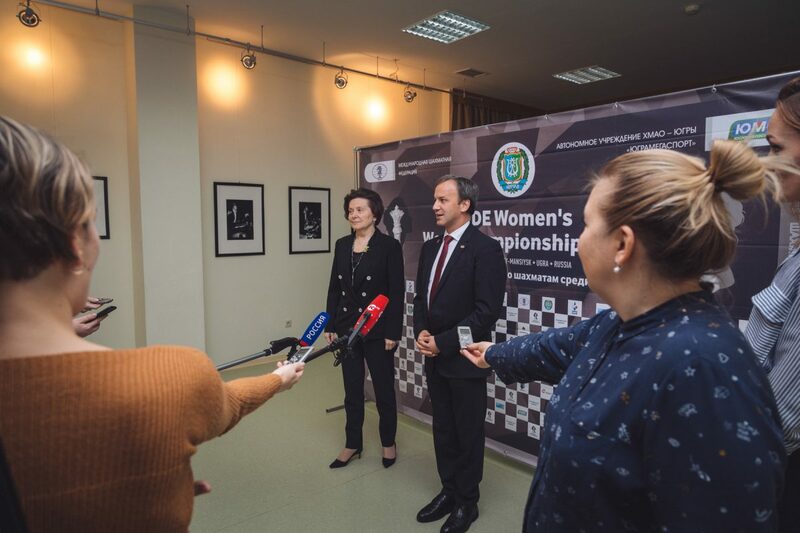 Upon the end of the official opening ceremony of the FIDE Women’s World Championship in Khanty-Mansiysk, Governor of Ugra Natalia Komarova and FIDE President Arkady Dvorkovich answered the questions of the mass media. 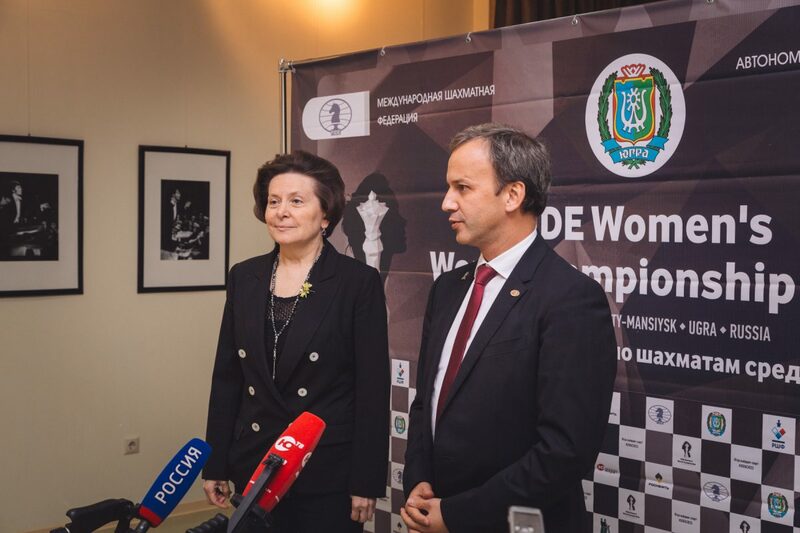 The President of FIDE Arkady Dvorkovich told about the importance of Women’s World Championship. “I’m happy to attend another big chess competition in Khanty-Mansiysk. This is the first tournament in Russia I’m declaring open as FIDE President, and its is also the first “adult” tournament for me in this role as I’ve already opened the world youth championship in Greece. It’s a great honor that Khanty-Mansiysk is holding one of the most important FIDE competitions. The main change about it is that the semi-finalists of this championship, except for the winner, will take part in the Candidates tournament of the next Women’s Championship cycle. This is the main news of the chess world. And we’re counting on the scenario where chess and women’s chess specifically will get more attention of media. On behalf of FIDE, I want to thank the Government of Ugra, the Organizing Committee, and everyone involved in making this tournament happen”. “I want to note that there is no such thing as too many chess tournaments for Ugra. I would like to thank FIDE for their trust in our region. With all the procedures required to get the right to hold an international competition, FIDE keeps choosing Ugra as a host of its events. Thank you for that. We wouldn’t get that kind of trust if we didn’t put so much effort in chess development such as the introduction of “Chess in Schools” program and the increase in the number of chess classes in the region. For example, today one of new chess clubs was opened and the FIDE President saw with his own eyes how such events usually happen here. When major international tournaments are held in a particular city of the world, the interest of people in this sport increases. According to statistics, our region has the largest number of children attending chess classes. We are proud of our chess players who are members of the national team: Dmitry Jakovenko and Olga Girya, as well as the most titled chess athlete in Russia among disabled Andrei Obodchuk. I hope that together we will cheer for them and support them. What is so special about the tournament? Just recently the FIDE President has noted that the prize fund of Women’s World Championship cycle would be increased and this is the right decision for women. Our tournament is first in this renovated cycle. Of course, this makes it unique”.